Iraq has deployed troops in parts of Sinjar where the PKK terrorist group has retreated, the army spokesperson said late Sunday. The globally recognized terrorist group announced its withdrawal from the northwestern province, as Turkey expressed its determination to expand the scope of Operation Olive Branch in Syria's northwestern Afrin to northern Iraq. Fırat News Agency, the media group that is known for its link to the terrorist organization, reported that the PKK is withdrawing its militants since it "reached its goal" of diminishing Daesh from the city. President Recep Tayyip Erdoğan said Tuesday that at an operation against the PKK terror group in Sinjar should be expected in the coming days. "We could suddenly come over one night to Iraq's Sinjar and eliminate the PKK terrorists there," the president said. The KCK is the umbrella organization that unifies the Apoist [a term used to suggest followers of the group's leader Abdullah Öcalan] Kurdish groups, meaning the groups with Kurdish origin that were founded by Abdullah Öcalan and operate in accordance with his ideology. It consists of the PKK, its Syrian affiliate the Democratic Union Party (PYD), its Iranian affiliate the Kurdistan Free Life Party (PJAK) and its Iraqi affiliate the Kurdistan Democratic Solution Party (PCDK). In mid-2014, the PKK managed to establish a foothold in Sinjar on the pretext that it was protecting the local Yazidi community from Daesh. Last week, the Mosul local council gave the PKK terrorists a 10-day ultimatum to leave northern Iraq's Sinjar district, according to a council chairman. 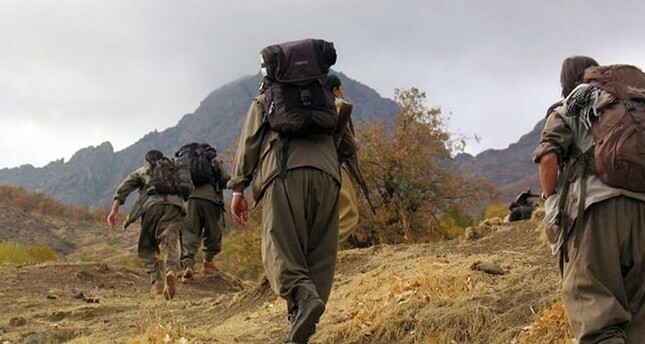 According to intelligence sources, the PKK has moved its military resources and command-control mechanisms from the Qandil Mountains in northeastern Iraq to Sinjar in the northwest.